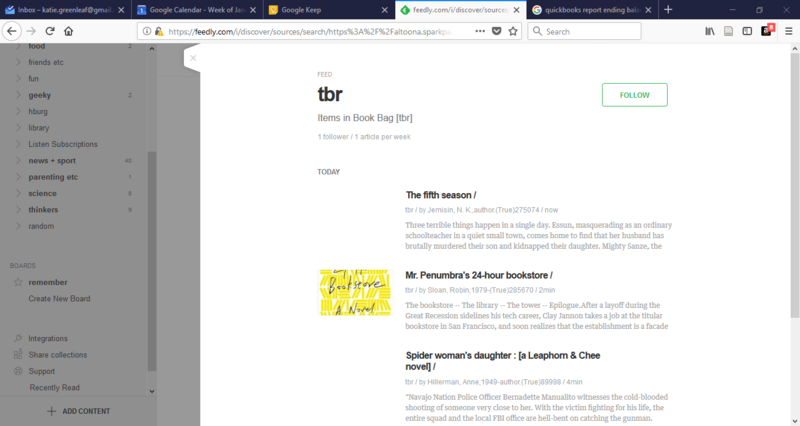 The xsl for converting atom to html tries to add links to cover art based on the titles ISBN, instead of using the newer method of by record ID. Additionally, the current ISBN processing code doesn't seem to handle all ISBN's correctly. Having 020 entries like the following results in no cover art link being generated. I found one that did work, and the main difference that I can see is that it only has one 13 digit ISBN. I'm really clueless about xslt, so I'm not sure what is going wrong here. I think that the code is saying that whenever we are not on the first ISBN entry, and the length is not greater than 9, set the src for the image to a default value for cover art, that won't ever return anything. So any time there is more than one ISBN, the 2nd entry will always cause it to be blanked out. So you will never get cover art for titles with more than one ISBN. The current behavior can probably be fixed, but it would be better to just use the record ID instead. I think that maybe the MARC21slim2ATOM.xsl needs to include the 901c, as the URN:RECORDID, since in theory the TCN(001) doesn't need to equal the record ID? Terran McCanna let me know about this issue and has fixed this for PINES and has provided the files she updated at. I got the RSS link one of my catalog lists viewed it on an RSS reader (feedly) and noticed that it only had one image (out of 4 total records). Yes, the ISBN method of lookup just isn't reliable. The code should be changed to use TCN like the catalog pages do. I think we should not use the TCN, 001 for pulling the data. Some sites do use TCN values that are not the same as the database bib id number. I think we need to use the 901c value to pull the cover art. Here is a working branch that pulls out the 901c as a URN:BIBID: value. And then uses that in the ATOM2HTML.xsl for cover art. Restart supercat to reload files after changes.